The liquidation process is fraught with challenges and complexities, and a liquidator bears a heavy responsibility in administering an estate with diligence. Failure to do so may engage the heirs’ liability for the debts of the deceased, and the liquidator’s personal responsibility for negligence. The liquidator must respect the will and final wishes of the deceased in order to properly administer the estate and allocate what is owed to the appropriate heirs. c) By an order from the court upon the application of any interested person establishing the need for such a measure. The heirs are either named in the will or, in its absence, determinable according to the legal devolution of successions found in article 653 of the Civil Code of Québec(hereinafter “CCQ”). In the absence of any heirs, the estate will fall to the state. All heirs and creditors have the right to receive a copy of the last will. At the very least, an heir may simply receive a copy of the passage in the will indicating his status as an heir. For all other individuals who have a vested interest wishing to gain access to the will, they may directly inquire with the drafting notary. The liquidator must fulfill all formalities required by law such as the registration of notices and the respect of prescribed delays in addition to administering the estate soundly and diligently. The liquidator must close the deceased’s bank accounts and set up an account on behalf of the succession. b) Governmental bodies i.e. (the Régie des rentes du Québec), the (Régie de l’assurance maladie du Québec), etc. In normal circumstances, a liquidator must, within six months, perform the inventory of the deceased’s assets including all properties, monies and debts. The inventory will allow the heirs to ascertain the value of the succession, which will enable them to either accept it or refuse it. The inventory must include a faithful and exact enumeration of all the assets of the succession. e) A recapitulation of assets and liabilities. The inventory is made either by notarial act en minute, or by a private drafting before two witnesses. A copy of the inventory must be furnished to the beneficiaries of the succession and every other person known to have an interest. The liquidator must then publish a notice of inventory at the RDPRM and in a newspaper circulated in the locality of the deceased’s last address. This notice allows other stakeholders affected by the succession (such as a bank or private lenders) to be informed of the death, to consult the inventory, and be given the chance to contest it if necessary. Pursuant to article 799 CCQ, the liquidator may be exempt from making an inventory should all the heirs and successors provide their consent. However, should they give their consent, the succession will be presumed accepted by the heirs, therefore making them liable for the debts of the succession beyond the value of the property allocated to them. For more information on the content of the inventory, please consult the estate liquidation form available on our website. Anything owed to the deceased at the time of his passing must be recovered by the liquidator and deposited in the estate’s account since the collected assets benefit the entirety of the succession. Most notably, the claims can be narrowed down to: held-over work-related earnings, private pension plan benefits, life insurance claims and private loans. The liquidator must realize the property of the succession to the extent necessary to pay the debts (such as income taxes, loans, rent, credit card, etc/), legacies by particular title and expenses resulting from the death. To that effect, the liquidator may alienate movable property that is perishable, likely to depreciate rapidly, or expensive to maintain. The remaining property of the estate may also be alienated upon obtaining the heirs’ consent, or through a court order in the event of a dispute. 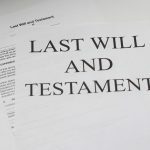 Other expenses such as funeral costs, fees for obtaining the death certificate, and other costs inherent to the succession are also paid out of the deceased assets. The liquidator must also prepare the deceased’s tax statements and pay his/her taxes within the period prescribed by law and obtain a certificate from Revenu Québec and the Canada Revenue Agency confirming that the deceased has paid all of his taxes. The liquidator must also consider the claims of the creditors of support, or claims made by the children, the spouse or the civil union partner of the deceased such as support payments, partition of value of the property accumulated during the marriage or the civil union, and compensation for work performed during marriage or civil union for the benefit of the deceased. It is also important that the liquidator conserve all proofs of payment made. The liquidator pays the known creditors and legatees by particular title on a first-come-first-served basis. Note that the compensatory allowance to the surviving spouse or any other debt resulting from the liquidation of the patrimonial rights of the married or civil union spouses is treated in the same manner as any other debt of the estate. Consequently, there is no hierarchy regarding payment when the succession is manifestly solvent. However, an exception does exist concerning ordinary public utility bills and outstanding debts which must be paid when they become due. Also, advances may be paid to the creditors of support and to the heirs and legatees by particular title of sums of money, but said advances are deducted from their shares. For more information regarding partial distribution of an estate, please see the attached judgement. c) Alienate property bequeathed as legacies by particular title or reduce such legacies if the other property in the estate is insufficient to pay all the debts. The liquidator may not pay the debts of the succession or the legacies by particular title until the expiry of 60 days from the registration of the notice of closure of the inventory or from the exemption from making an inventory. 4. The legatees by particular title. Reminder: Property bequeathed by particular title may be alienated or reduced to pay the parties ranked above the legatees by particular title. 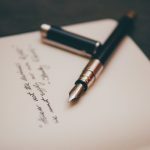 Heirs who wish to renounce a succession must do so in a notarized document. If the liquidation takes longer than one year, the liquidator must render and annual account of management to the heirs, creditors, and legatees by particular title who have not been paid. This account must be sufficiently detailed to allow the verification of its accuracy. Upon termination of the liquidator’s administration, the liquidator must render a final account to the beneficiaries of the succession. This account must also be sufficiently detailed to allow the verification of its accuracy. Once the account is accepted by the beneficiaries, it is effectively closed. A plan to divide the property is normally attached to the final account. This plan may be drafted with the help of a professional in order to minimize the tax consequences inherent to the transfer of certain assets. The object of this account is to determine the net assets or the deficit of the succession. d) The reserves needed for the satisfaction of future judgments. Once the final account has been accepted by the heirs, the liquidator is discharged of his administration and delivers the property to the heirs. Lastly, the closure of the account must be published in the RDPRM. The liquidator is not only responsible for filing the deceased’s provincial and federal income tax returns for years prior to his/her death, but also for the year of his/her death. The deadline for filing these income tax returns and for paying income taxes varies depending on the deceased’s date of death and whether the deceased was carrying on a business. For more information, please visit the Revenu Québec and Canada Revenue Agency websites. A notice of distribution of property in the case of an estate must be filed in order to obtain this certificate. b) A clearance certificate issued by the Canada Revenue Agency. The liquidator must complete form TX19. It seems appropriate to mention that any distribution made before obtaining these certificates may result in the liquidator’s personal liability. In certain exceptional circumstances, a partial distribution of monies from the estate may be distributed to the heirs prior to the remittal of the clearance certificate. For more information, please see the attached judgement. If the liquidator must distribute an amount of more than $ 25,000 to a minor, he must complete the form entitled “tutorship of the property of a minor” and submit it to the public curator. The liquidator must complete the “Declaration by the Liquidator of the Succesion” from the Société de l’assurance automobile du Québec. 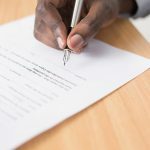 The liquidator must sign a “Transfer Declaration” prepared by a notary. In addition, the liquidator must return all that he has received in the performance of his duties, even if what he received was not due to the beneficiary or the trust patrimony; he is also accountable for any profit or personal advantage he has realized by using, without being authorized, the information he held as a result of his administration. The liquidator is also entitled to deduct, from the sums he must remit, what the heirs owe him as a result of his administration. Do I absolutely have to follow all these steps? The above steps can be avoided if the heirs decide, by mutual agreement, to liquidate the estate without following these rules. However, it should be noted that the latter are required to pay the debts of the estate on their own assets while exempting the liquidator from any liability. Ibid at art. 808 para 1. Ibid art. 810 para 1. Ibid art. 1352 para 1. Ibid art. 822 para 2. Ibid at art. 1366 para 1. Ibid at art. 1369 para 1.